"Pope Francis and the Challenge of Church Reform" is the subject of the 2017 Thomas J. and Mary H. Loftus Lecture on Catholic Thought and Action on Thursday, April 26, at 7 p.m. in the Yehl Room of Gannon University's Waldron Campus Center, 214 W. Seventh St. The lecture will be presented by Dr. Richard Gaillardetz, Joseph Professor of Catholic Systematic Theology at Boston College and current chair of the theology department. Pope Francis is one of the most popular and one of the most controversial popes in modern history. With his papacy, the church is witnessing a new stage in the implementation of Vatican II's reformist vision. Gaillardetz's lecture, presented as part of the Thomas J. and Mary H. Loftus Lecture on Catholic Thought and Action lecture series, will assess the scope and character of the reformist program that Pope Francis has undertaken in the church today. Gaillardetz received his M.A. and Ph.D. in systematic theology from the University of Notre Dame. He has published numerous articles and authored or edited 13 books, most recent being a newly revised and expanded edition of his popular book, By What Authority? Foundations for Understanding Authority in the Church (Liturgical Press, 2018). He has also published An Unfinished Council: Vatican II, Pope Francis, and the Renewal of Catholicism (Liturgical Press, 2015). Gaillardetz was a delegate on the U.S. Catholic-Methodist Ecumenical Dialogue from 2001 to 2005 and served as president of the Catholic Theological Society of America in 2013-14. He is a much sought after national and international lecturer, and has received the Sophia Award from the Washington Theological Union for theological excellence in service of ministry, and in 2018 he received the Yves Congar Award from Barry University. The Loftus Lecture is free and open to the public. 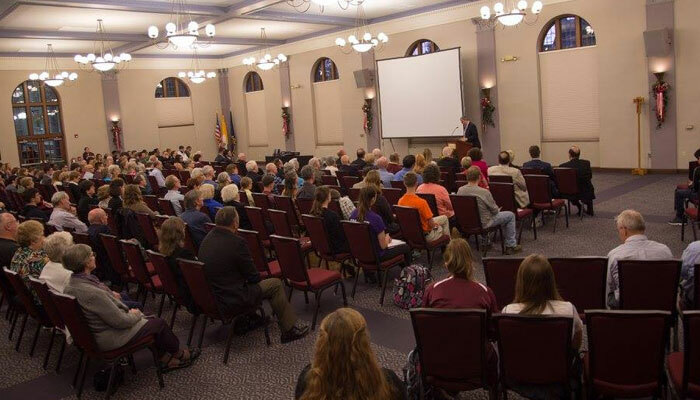 Reservations are encouraged at www.gannon.edu/loftuslecture.